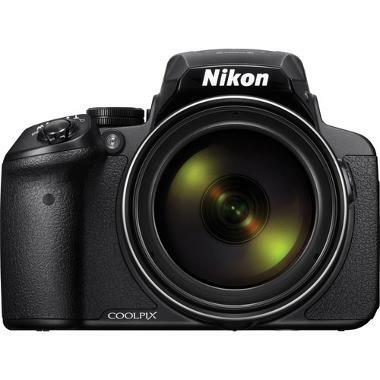 For an updated version of this camera with an even larger zoom range, see the Nikon Coolpix P1000 Digital Camera. The Nikon Coolpix P900 Digital Camera sports an incredibly large range including 83x optical zoom, 166x dynamic fine zoom, and 332x digital zoom. Get close to subjects ranging from birds to the moon with exceptional detail and clarity. 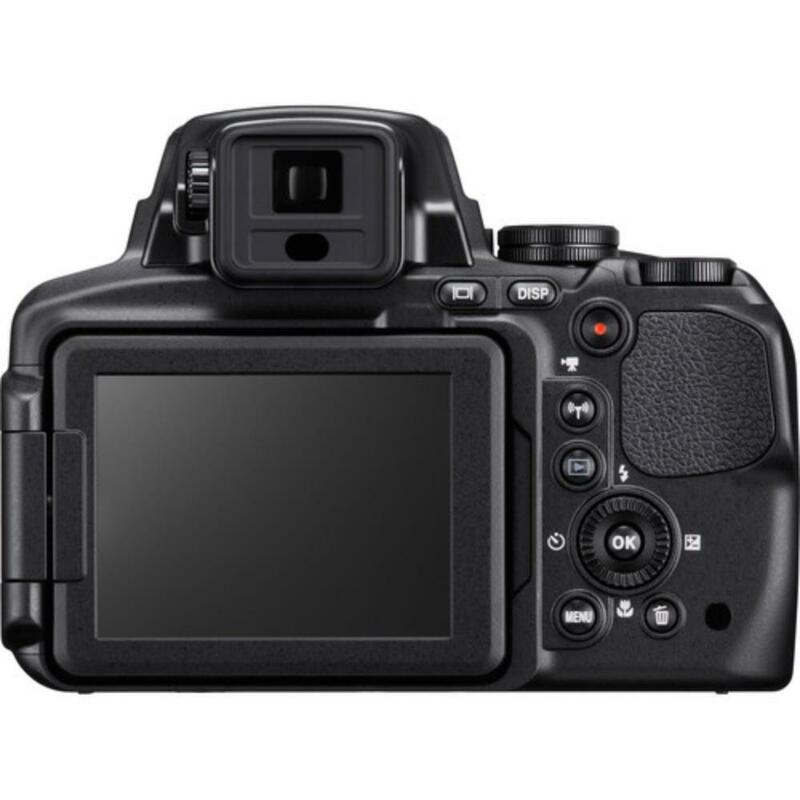 A fully adjustable LCD screen gives you the flexibility to shoot in a variety of positions without sacrificing the option to shoot through the electronic viewfinder. For video, shoot 1080p up to 60 FPS or opt for super slow motion video at 480p up to 120 FPS. The real attraction of this camera is the zoom lens, which comes equipped with Dual Detect Optical Vibration Reduction so that you can capture far away or low-light subjects without camera shake. A word of warning: this camera does not shoot RAW and battery life is about 320 images on a single charge, depending on settings. Lastly, while this camera is an all-in-one, it is on the heavier side of the point-and-shoot world and feels more like a DSLR at over 3 lbs. This camera is ideal for wildlife photography - especially as a hobbyist replacement for a safari trip where an all-in-one will save a lot of space over a super tele/DSLR combo. It is also suitable for events, ceremonies, light astrophotography, and architecture. 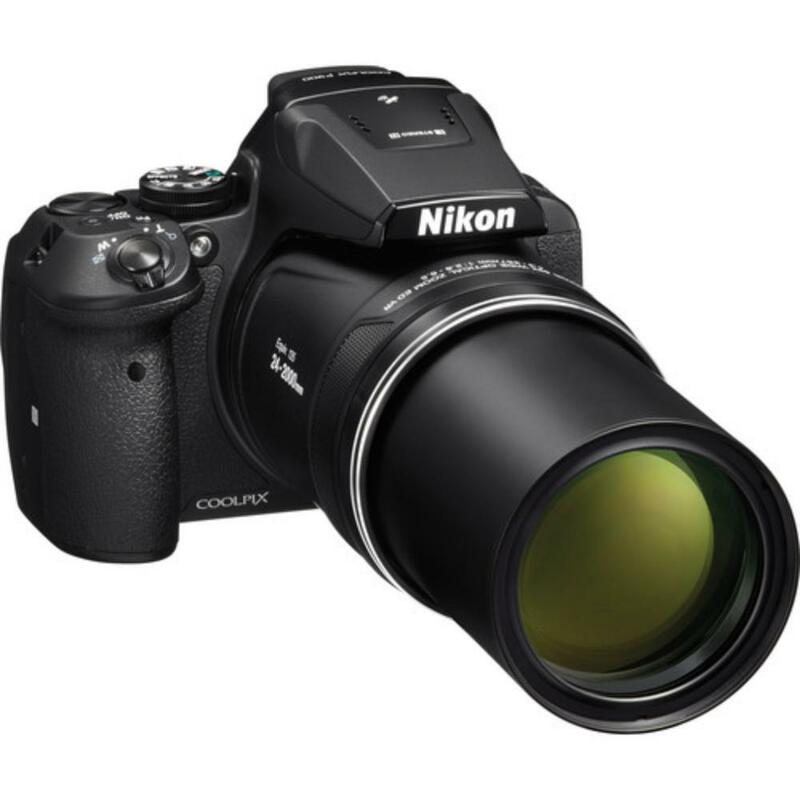 • This camera has a built-in 4.3-357mm f/2.8-6.5 NIKKOR lens and you will not be able to remove it for other lenses.